Donkeys and Alpacas and Cows Oh My! 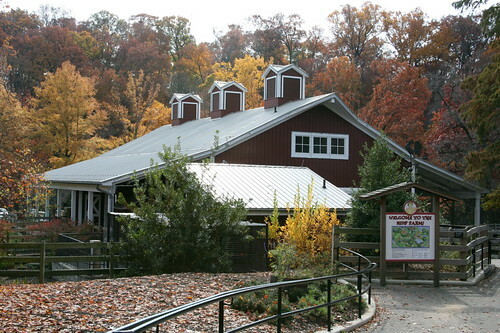 Five years in the making, the Kid's Farm at the National Zoological Park opened in June 2004. The Farm's cows, donkeys, alpacas, goats, hogs, and rabbits have delighted children on a two acre site near the zoo's Rock Creek Park entrance. Its goals were to reach out to a young audience, particularly kids from 3-to-8 years of age, and teach them how to take care of animals and understand that most of what they eat comes from a farm, not just the grocery store. Visitors to the Farm enjoy a cow pasture, a chicken house, a duck house, a red barn, and a "caring corral," where they learn to handle and care for farm animals. A Giant Pizza Playground welcomes curious children and invites them in with its twenty-two foot rubberized pizza with oversized olives, mushrooms, onions, and a cheese wedge slide. The Giant Pizza is surrounded by hands-on exhibits that connect the pizza’s ingredients to their site of origin. A laminated olive tree, for example, opens up to reveal how olives go from tree to topping; and in wedge-shaped plots in a circular garden, wheat, tomatoes, olives, peppers, garlic, and other herbs grow. Built with a $5 million appropriation from Congress, the Kid’s Farm is now scheduled to be closed by summer 2011 due to budget cuts. 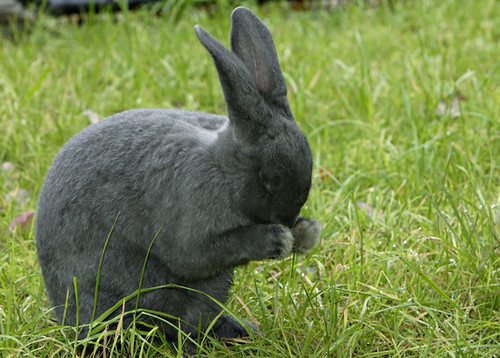 The announced closure drew swift action from the public; on February 26, 2011 a "pet in" was staged; a Facebook group, "Save the Petting Zoo & Pizza Playground at the National Zoo" was formed; and a Save the Kids Farm at the National Zoo! website was created to provide information and coordinate support to save the popular site. "Make no mistake about it, the Kids' Farm is above all, a place to have fun. The messages don't overwhelm. The outsized rubber pizza can be just that, and needn't be topped with meaning. And kids don't have to think 'rural context' when they wash a goat. But that's not to diminish the exhibit's gently instructive lessons: do not underestimate what it takes to care for an animal, and do not think that food grows in microwavable containers." While you may no longer find young children brushing donkeys or pretending to eat a humongous pizza at the Kid's Farm in a couple of months, the joy and lessons once learned there will be cherished by those who enjoyed this unique feature of the National Zoo, while it lasted.